Hollywood has decided it will watch the Olympics along with the rest of the world this August, choosing to steer clear of those three weeks with its would-be blockbuster movies rather than compete against Rio de Janiero’s Summer Games. 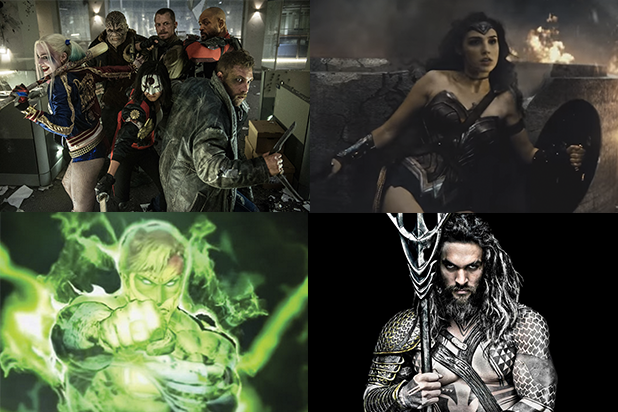 “Suicide Squad,” the second film in Warner Bros.’ DC Comics Universe series, will debut on Friday, Aug. 5. That’s the same day of the Opening Ceremony in Rio, which could be watched on NBC by an estimated 4 billion viewers worldwide. Paramount debuts its “Ben-Hur” remake the following weekend against Disney’s family film “Pete’s Dragon” and Sony and Seth Rogen‘s R-rated animated comedy “Sausage Party,” but there are no other films with obvious blockbuster potential scheduled to open before the Closing Ceremonies on Aug. 21. Every four years, the Summer Games arrive during the busiest season at the multiplexes, and typically dominate TV viewing and leisure time. Rio de Janiero time is roughly five hours ahead of New York’s, so this should be a good year for viewing and ratings. NBC’s coverage and daily reports from the Games will run beyond primetime, pushing the late-night talk shows back, into repeats or off the air, and depriving the studios of an important promotional platform to launch new releases. Warner Bros. execs weren’t talking Thursday, but one reason they can feel confident “Suicide Squad” will be OK despite the Games is recent history. “The Dark Knight Rises” opened a week before the 2012 London Olympics and it grossed more than $1 billion worldwide and nearly $450 domestically. The Ben Stiller comedy “Tropic Thunder” was a hit too, and it debuted during the 2008 Summer Games in Beijing. Paramount is going right at the Games with “Ben-Hur,” which will come out in the U.S. and most of Europe on Aug. 12, while they are in full swing. But it will wait until September to open the film in the Olympics host country Brazil and neighboring Argentina. 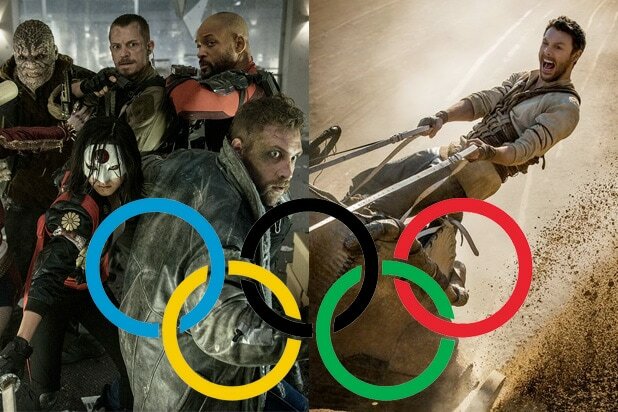 The Olympics will be a non-factor for 2016’s leading studio, Twentieth Century Fox, because it has slotted all of its summer releases early: “X-Men: Apocalypse” (May 27), “Independence Day: Resurgence” (June 24), “Mike and Dave Need Wedding Dates” (July 8) and the animated “Ice Age: Collision Course” (July 22). The “Ice Age” franchise has grown into an international heavyweight. The last film in the series, 2012’s “Continental Drift,” grossed $716 million overseas, compared to $161 million domestically. “Collision Course” will open throughout Europe and in South America two weeks ahead of its U.S. opening, so it will have completed most of its run prior to the Games. “That was a big one for us, so we made a point of staking that out early,” Craig Dehmel, executive VP of international distribution at Fox, told TheWrap.com. For many other studios, there is a general feeling that the box office impact of the Games may be more limited than in the past, in part because cable and streaming brings results to the most rabid fans early, making primetime TV less less vital than in past years. And it’s worth noting that August is typically a soft box office month, so Hollywood caught a break in that sense. There has never been a $100 million-plus opening that month, and 2014’s “Guardians of the Galaxy” is the only film released in August that’s topped $300 million domestically. The studios generally adopted a similar “steer-clear” strategy for the 2012 Summer Olympics in London, which opened in late July. Universal’s debuted its spy thriller “The Bourne Legacy” during the Games. While the film’s returns didn’t match its predecessors, the blame could go to Jeremy Renner replacing previous series star Matt Damon. 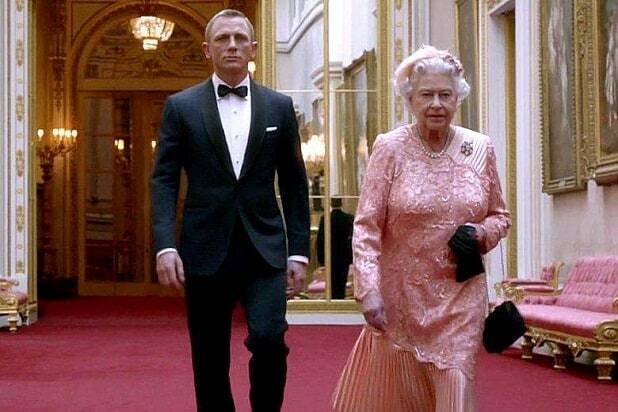 Four years ago, Sony and MGM did manage to pull off a promotional coup when they enlisted no less than Queen Elizabeth to join “Skyfall” star Daniel Craig for an Opening Ceremony bit that anticipated the James Bond film’s November opening.